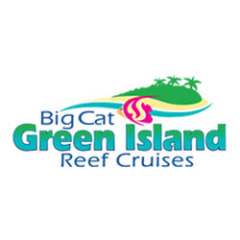 Big Cat Cruises operates tours and cruises to the Great Barrier Reef for over 30 years, Big Cat Green Island Reef Cruises is owned by experienced cruise operators, the Wallace family. 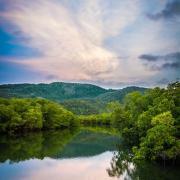 Since 1979 when they launched the renowned Quicksilver cruises from Port Douglas the Wallace’s have been perfecting the art of day touring on the Great Barrier Reef. 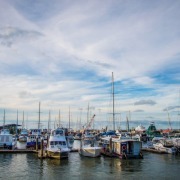 In 1990 the Wallace family purchased Big Cat Green Island Reef Cruises and for 25 years have applied their winning formula of friendly and helpful service. 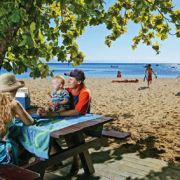 In 2008, The Wallace family’s winning formula of friendly and helpful service earned Big Cat Green Island Reef Cruises an induction into the Tropical North Queensland Tourism Awards Hall of Fame after winning the Best Major Tour and Transport Operator in 2004, 2006 and 2007. 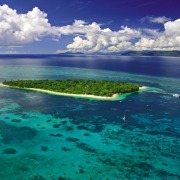 Big Cat Green Island Reef Cruises is highly environmentally-conscious and is certified at “Advanced Ecotourism” level. 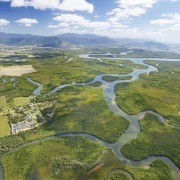 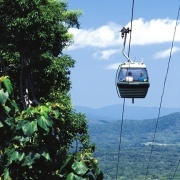 Big Cat completed a comprehensive greenhouse gas emissions audit as part of the Australian Government’s Green house Challenge Plus programme and the Tourism Tropical North Queensland Planet Safe partnership programme. 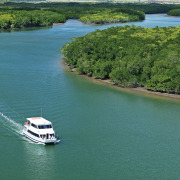 Big Cat Green Island Reef Cruises specialises in discovering the Great Barrier Reef. 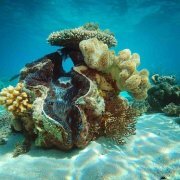 Visitors are encouraged to view the wonderful underwater world of marine life and corals by participating in snorkelling, glass bottom boat or semi-submarine tours. 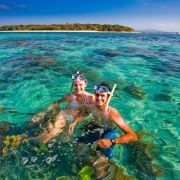 Big Cat also provides many optional tours on board, including certified and introductory diving, Seawalker helmet diving and boat snorkel trips to the outer edge of Green Island Reef. 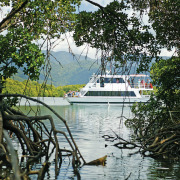 Big Cat Green Island Reef Cruises operates full and half day cruises year round from the Reef Fleet Terminal in Cairns.